Bridal Spectacular features a Las Vegas wedding at Red Rock Canyon. When you have family and friends who live all over the world what better place is there to get married than Las Vegas?! Michelle and Tino’s guests came from all over to celebrate their big day in a place that the couple holds near and dear to their hearts. 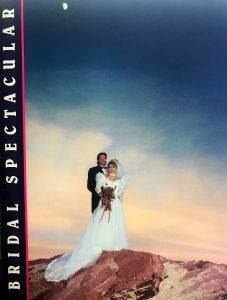 Michelle and Tino magically captured a spectacular moment by posing in the exact location Michelle’s parents had for the very first cover of Spectacular Bride Magazine in 1991! They had met in Las Vegas and later moved to Sioux Falls. Combining many reasons to celebrate, this destination Las Vegas Wedding brought together local family from the states, a few friends from New Zealand, and a big crew from their now home in Germany for a magical wedding that was all planned in just two months! Thank you both, along with Dan Thorson Photography, for letting Bridal Spectacular share your incredible Las Vegas wedding with our readers. As featured in the fall edition of Spectacular Bride Magazine, Michelle and Tino’s autumn wedding was not just a one-day event, but rather a week-long celebration! To begin, the couple spent the entire week with their best friends at an Airbnb. 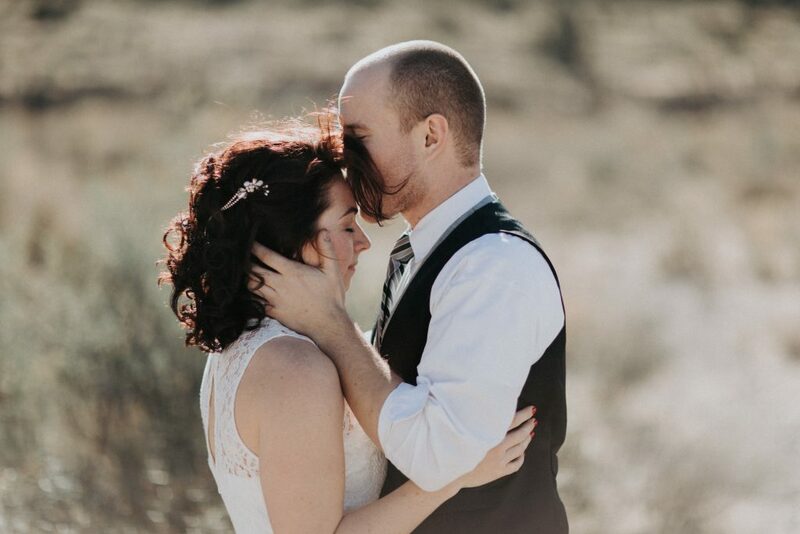 For the wedding, the couple had their beautiful ceremony at Red Rock Canyon followed by Five Guys Burgers for the reception and then headed back to their rented Villa for the after-party. We hope you enjoy this glimpse of Michelle and Tino’s spontaneous Las Vegas destination wedding as captured by Dan Thorson Photography. Dan Thorson Photography is a wedding/portrait photographer based in Sioux Falls, SD. He started documenting couples a few years ago after second shooting with many great wedding photographers in the state. There’s an indescribable feeling Dan gets being behind the camera, which fuels his passion for his work.